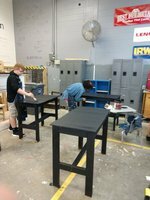 Recently, the RHS construction students painted four tables that other construction students built and painted for Lakeview Middle School. Often, the construction classes are asked to build specialty items for groups, community members, or faculty. 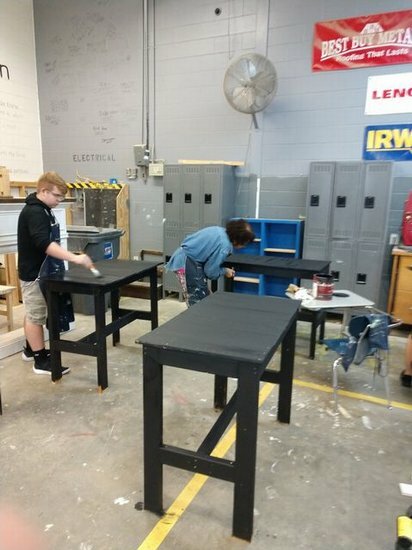 This is just one of many service-learning opportunities that Mr. Elliott's students have while taking this CTAE class at Ringgold High School.